Counseling is a profession… but being a counselor is a way of life. A counselor personifies the values, beliefs, goals and practices on which the profession of counseling is based. Although becoming a counselor is necessarily developed through quality education and experience, the core of being a counselor comes from within the person herself or himself. The 20/20: A Vision for the Future of Counseling initiative, co-sponsored by the American Counseling Association and the American Association of State Counseling Boards, has taken the lead on unifying the many voices within counseling, which will allow us to become the consummate counseling profession. Rehabilitation counselors epitomize the goals and principles of 20/20, and rehabilitation counseling participates in this initiative. The 20/20 initiative is not creating the counseling profession. It is not redefining it, dismissing members from it or eliminating components that have helped build the profession into what it has become. Creation is straightforward in that it allows starting from scratch and making something that is completely new. Unification is more difficult because it requires the delicate process of bringing distinct parts together into a collective whole that is bigger and more significant than the sum of those individual parts, while simultaneously protecting the uniqueness of the individual parts. The range of practice settings for professional counselors is vast and will likely expand because of counseling’s impact on people and communities. The scope of counseling practice will continue to evolve through constantly improved training and evidence-based research. But the essence of what makes a person a counselor will always be the same. 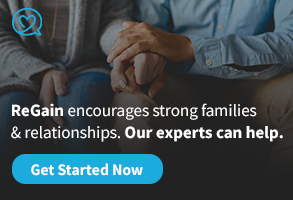 Specific skills, techniques and settings might vary across the different counseling specializations, but our common beliefs, values and goals are what bind individual counselors together as a profession. For more than 60 years, rehabilitation counselors have been counselors first, and they value their history within the counseling profession and their associations with other professional counselors. A key, if unstated, purpose of the collaborative efforts of ACA, AASCB and the diverse member organizations that are a part of 20/20 is to capture the commonality that exists among the thousands of individuals who live these core beliefs, values and goals and are also qualified to practice in a unified profession. The goal is unification of the profession, and unification is about bringing people with a purpose together so they can also collectively meet larger and more impactful purposes. In the end, 20/20’s success will be measured by the extent to which it simultaneously advances, unifies and reflects the depth and breadth of the counseling profession. The 20/20 initiative was designed to facilitate unification within the counseling profession and to advance licensure parity for its members. This goal entailed an exercise in collaboration. The synergetic efforts of ACA, AASCB and the other participating organizations in 20/20 provide a model for how a mission-focused yet broad-based profession can become significantly more relevant. Most people understand that successful collaboration is easy to talk about, but it is much more difficult to implement because it always starts out with a divergence of perspectives. People collaborate because it allows partners to take the best of assorted perspectives and bring them together to form a new and unique approach to an opportunity. The potential rewards go far beyond what the partners could have accomplished in isolation. But while the payoffs can be great, there are also costs and risks involved. Partners must be willing to expand their perspectives and commitment to something bigger. Doing so usually requires change for individual partners. At the same time, partnerships will not happen if those changes require partners to sacrifice their culture. Ultimately, collaboration is about incorporating members into a new system. It is not about diminishing relevant players in that system. A project such as 20/20 requires a great deal of hard work, patience and cooperation to succeed. If the 20/20 group had been satisfied with adopting one of the larger partner organization’s definition of counseling and modifying it slightly to arrive at a “common” definition of counseling, the whole process could have been simplified and accelerated. Similarly, arriving at the “recommended scope of practice” could have been accomplished simply by adopting the scope of one particular counseling specialization. But up until now, no shortcuts have been taken in this collaborative project. The 20/20 licensure education requirements work group recently recommended that counselor licensure standards include graduation from a program accredited by the Council for Accreditation of Counseling and Related Educational Programs (CACREP). 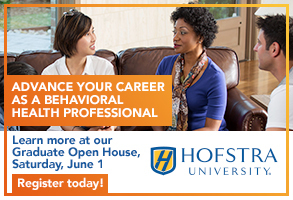 The recommendation specifically identifies graduation from a mental health counseling or clinical mental health counseling program. This is problematic on four counts. First, adoption of a recommendation to unilaterally identify one accreditation organization at the expense of any others contradicts the foundational theme of 20/20 to unify the counseling profession. Second, if adopted, the recommendation would immediately and significantly affect the accreditation organization for rehabilitation counseling — the Council on Rehabilitation Education (CORE). Third, the recommendation could easily set the stage for two groups of counselors — the licensable and the unlicensable. Although the recommendation includes the suggestion of grandparenting language for graduates of CORE-accredited and other non-CACREP-accredited programs, the change will directly affect many counselors and many more counseling consumers. 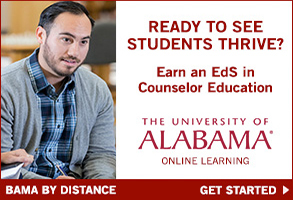 The goal of licensure portability was to include all counselors, which is the reason there is a 20/20 delegate from each counseling specialization. We believe that recognizing only mental health counseling as worthy of licensure goes far beyond the original intent and purposes of 20/20. 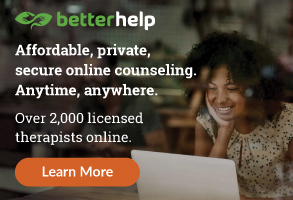 CORE is convinced that this would be detrimental both to the profession of counseling and to the public that deserves the protection that counselor licensure affords. Rehabilitation counselors have always been professional counselors. Therefore, they have been a part of the counseling profession’s frustrating competition with psychologists, social workers and other professions for opportunities to practice what we are qualified to practice. At times, counselors have even competed with other counselors for those same kinds of opportunities. Unification of the counseling profession will have a significant impact on its competitive edge with sister professions. To accomplish that, we must eliminate all intraprofessional competition and steer away from a path that would disenfranchise counseling specialties that are not mental health counselors. 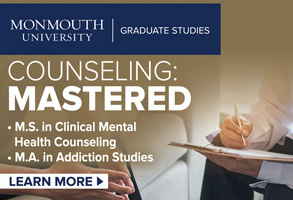 Unification of counseling is within reach. It will be built on the same fundamental qualities that make individuals good counselors — the genuine respect we have for others, the support we share in pursuit of a common purpose and our ability to understand the validity of multiple perspectives. Those qualities will unite all of us — counselors — as members of one profession that is strong, visible and influential. Imagine how powerful 52,000-plus members of ACA can be when unified toward one common purpose — licensure for all members, not just for some of us. Tom Evenson is president of CORE. Patty Nunez is vice president of CORE. Frank Lane is the executive director of CORE.